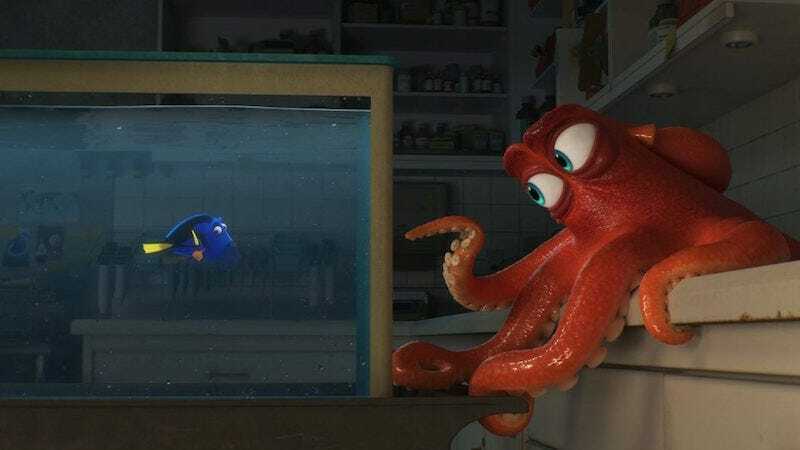 For those of us with a... grouchier disposition, Hank (Ed O’Neill) was a delight in Finding Dory. And in this storyboarded (and deleted) scene, Hank and Dory go on a journey to find Dory’s parents. Who doesn’t love a montage that includes one character getting progressively more and frustrated? You can see why this was cut, but it’s still a fun time at the aquarium.